A lot of times, a recipe comes with a story, and if you’re even luckier, it’s a good one. There are dishes that remind you of something your mama used to cook and unforgettable meals at far-flung restaurants that demand recreating in your own kitchen and fresh stuff that looked so pretty at the market, you had to come home and have your way with it. This is not any of those times. I don’t have a good story about why I had to make a chocolate pudding pie this weekend or why you should before your weekend is done and gone, and I at first felt bad about this until I realized that at 37 weeks and 4 days pregnant not that anyone is counting or anything one does not need a good reason to make chocolate pudding pie — they are the definition of one. Because did you read the part about the chocolate? And pudding? And pie? I did. I saw those three words together on Gourmet.com last week and had I been craving chocolate pudding before then? No. Did I know I was fixing for some pie? Nope. Did I have a good reason to make it? Well, not exactly, but I promise you, if you make chocolate pudding pie, the people will come. Though you might have to then share it with them, which is inconvenient when you realize how good it tastes. It may not bring out the magnanimity in you (I at first typed “magnitude” but, well, that’s just too easy) but you’ll be relieved to know that as far as pies this pretty go, this one is particularly easy to make: a quick-baked shell filled with an even speedier homemade chocolate pudding and smothered with a generous helping of fresh whipped cream. It’s even easier to eat, but I suppose that goes without saying, even if you’re not the pregnant-est person in New York right now. Want to make chocolate pudding, but hold the pie shell? Here ya go! One of my favorite things about this — besides the whole CHOCOLATE and PUDDING and PIE thing — is the way that despite its all-id, kid-like nature, this pie is surprisingly unsweet and not heavy. There’s barely a half cup of sugar in the whole she-bang and the lack of excessive richness (it’s a milk and cornstarch pudding, not a weighty egg yolk and cream custard) makes for something you can easily crave on a hot summer day, although you’ve already been warned that that craving may strike without warning. * Detour! This is where I admit that I for reasons both lengthy and boring, I really loathe working with pie weights and use a different technique to blind bake pie and pastry shells. Instead, I freeze my rolled-out shells for 20 to 30 minutes until solid, press a piece of buttered foil, buttered side down, very tightly against the frozen shell and blind bake it according to regular directions. When it is time to remove the weights, I carefully pull back the foil, and press any part of the crust that has bubbled up gently back with the back of a spoon and continue baking the shell. Try it! I love that you act like you need an excuse other than it’s a Monday to make pie. I’m a sucker for a cream pie. Aaah the spoon trick! I thought I was the only person who did that, I also LOATH pie weights with a passion, I bake my pie crusts blind with nothing in them, then half way through I remove from the oven and push down anything that has risen with the back of a hot DRY spoon and then back to the oven for the remaining minutes. People I work with look at me with disgust at times but hey, it’s easier and saves time and you don’t have to fart about with weights. I think I will have to make this, it looks delicious! What is with this pie?! It has been following me like a crazy delicious ghost wherever I go. Kind of like when your parents would buy a certain car and then it suddenly seemed like everyone in town had the same car. Yeah, sort of like that. Anyway, I’ve been wanting to try the version of this from the Baked cookbook too. Thanks for the additional nudge! that looks so perfect. exactly what i want right now even though i have a pile of peaches from north fork that i should also be putting into something. but i need chocolate! I’ve only just happened across your blog and am I pleased I did. You have a fabulous site here, I will add you to my blogroll. That chocolate pie looks amazing. OMG. I am sitting at the computer editing an article on cold-frames, when your chocolate pie comes up on my yahoo reader. What? Can you say distraction? Not fair! Sigh. This looks so good it is killing me. The last chocolate pie I ate was a terribly disappointing slice at a diner that shall remain nameless. Can I whip up the energy to try this out later today? Only time will tell. I know I won’t stop thinking about it now…( having already broken down in looking at your gorgeous photos). I am not sure if I should say thank you or not… but I will. Thank you for leading my mind astray. Looks like a winner… will try this, but going to go with a graham cracker crust… maybe add some ‘mallows and blast with creme brulee torch? Or drizzled with some caramel sauce and pecans? Tim — You’d probably love the S’more Pie in the archives! Purple Foodie — This link is buried in the recipe, which means that nobody will see it, but I actually added a note about that specific whisk and exactly what I use it for! Gabriela — I share with friends. A few live nearby and generally don’t need to be asked twice to come over because I done baked pie again. I had intended to bring this one to a BBQ on Saturday but totally miscalculated how long it would take — not the labor, but the chilling-rolling-chilling-baking and chilling again. Chocolate pudding is one thing I do remember eating as a kid. My mom is Korean so baked treats and sweets were not part of my diet growing up. Dad could mix a jello pudding pack though. Thank goodness I went to pastry school. I love creme pies of all kind and of course won’t ever eat jello pudding anymore. Love how simple they are. Wow, this looks amazing! And it would be a perfect treat to make on Labor Day. The only concern I have is the very real possibility of eating it all myself. It may be a chance I’ll just have to take. Aww Deb you look adorable! An awesomecup holder you’ved got there.. The chocolate filling sounds like how you would make the pudding version of your hot fudge sauce sort of. I don’t doubt it appealed to you! It works for me too, since I love your hot fudge sauce! I am sold on the pie crust technique (fraisage) that is used in the crust recipe supplied with this recipe on Gourmet. Gads, it makes pie crust easy to handle for those of us thusly challanged..even after all your tutorials, that trick is what made it happen for me. Oh my. My aunt made chocolate pie for Thanksgiving dessert a couple of years ago. It was overkill, really, after all the Thanksgiving food. But it was sublime. I can still taste it. Might have to have some soon, very soon. ha! my brother-in-law LOVES chocolate pudding pie. in fact he usually makes one and brings it to Thanksgiving and Christmas dinners. He’s just not into the cooked fruit pies (or “grown-up” desserts) that are traditional with these holidays. It’s become a family joke. His pie is about as low rent as they come – pre-made crust, box of pudding mix, spray can of whipped cream. Done. Maybe I’ll use this recipe to make him a “real” pudding pie. It would be his best day ever! This would’ve been the pie I made today had I not been talked out of hosting a BBQ. Apparently our friends (all law students…ugh… this needs to change) are too busy to relax on Labor Day. So here’s my question: What do you do with all the cake and pie you make? Do most of them freeze well? I can’t believe it! Last night I was thinking about I wanted to make a pie and that I’d never made a chocolate pie… and here you go posting about one! I’m going to go think about winning the lottery now… lol! Oh my goodness, that looks so delicious! I thought there was meringue on top – how do you think it would come out crumbled on top instead of the cream? Looks really yummy and simple. Thanks! I’ve heard that dry beans make a good pie weight. Me and my sister love your site! I loved your graham crackers and pizza crust. I’m going to try this pie sometime soon! Great! Thanks, Deb! Subscribing to your “tips” rss right away. Really, I’m in awe; how do you keep up? Lucky us! Never went past 37 weeks with any of my kids, maybe you will be so lucky. Quick, finish the pie. Ooooooh! I bet that real pudding tastes so much better than the store bought version, I may have to make that on it’s own! My dad used to make this all the time with those pre made graham cracker crusts, jell-o instant pudding, cool whip and sprinkles. As delicious as that was, this looks even better. I make a chocolate pie that we just love. I’m lazy and just use a large jell-o chocolate pudding and pie filling (cook & serve, not instant). I cook it according to the instructions, then add a jar of marshmallow cream. I pour half into the crust then sprinkle 1/2 cup semi-sweet chocolate chips evenly over filling. Then pour the remaining pie filling over the top. After it is cooled I top with whipped cream and chocolate shavings. The chips inside add a nice surprise and really add to the flavor. I audibly gasped when I saw this recipe. How sad am I? My oh my, chocolate pie. I see my next weekend being chocolate. It’s too late today to be able to eat it cold. I’m 39 weeks and 3 days and I wish wish wish you were my next door neighbor because I would like to talk end of third trimester life over a piece of chocolate pudding pie. I no longer have the energy to make such a treat myself! Oh my goodness, as a fellow pregnant lady, albeit only 3 months pregnant, this looks like heaven. Luckily DH is a chocolate pudding pie lover. I will be making this soon. Just because. Thank you! OMG! This looks divine!!! I MUST make it! My husband has been begging me to make a cream pie for months — I think this will fit the bill perfectly. Looks delicious! This recipe looks amazing. No need for an excuse to make it! Just wanting it is good enough. Thanks for sharing the recipe! This would also be wonderful with a graham cracker crust, that is the way we always made it when I was growing up. Yum! I’m going to have to try this recipe:). Chocolate pudding pie is my favorite. My mom makes me a minty one every year for my birthday. I have to try this one for sure. I have a dinner party to go to next Saturday. And I think I know what I’m bringing. 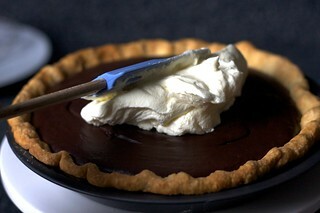 Deb, curious if you’ve ever made the Gourmet 2/04 Chocolate Cream Pie (I found it on epicurious.com). That is my go-to recipe for this type of pie. It uses a crust made from those delicious “Famous Chocolate Wafers”…it’s absolutely heavenly if you make it with the really good chocolate for the filling…. The name says it all. Chocolate owns~! WHY?? WHY??? Good gosh, WHY? WHY do I just happen to have all the necessary ingredients for this freaking pie in my house RIGHT NOW? I’m supposed to be starting a DIET this week! A fierce detox diet that leaves NO ROOM for CHOCOLATE CREAM PIES! I am actually whimpering right now. In between the times when I’m shaking my fist at the universe. You’ve done it! You’ve de-lurked me! I *had* to tell you how thrilled I am that you used a real pie crust for chocolate pie! Graham cracker crust is tasty, sure, but real crust is the way my grandmother made it :0 Kudos to you! Ooooh yum! Is it sad that I have no inclination to make anything for dinner but the sight of your post had me wanting to make.pie.right.now. Oh and I will. I’ve got a whole wheat crust in the freezer, and chocolate and cream are pantry items in this household. So yes, we’ll be having pie or at the very least I’ll be having pie LOL. You’re looking great by the way. Wow this pie looks so creamy and heavenly – and TASTY too! I don’t know if I could stop at 1 slice – HONESTLY! Good Wishes to you and a speedy delivery as well! I have apples waiting in the wings; how I wish I could do chocolate. Wow – does that look fantastic. Might have to get the hubs to make me a chocolate pudding pie. Why not make it myself, well, I think *I* am the pregnantest person in NYC. 39 weeks today. And I might not last that long! wow! this looks ssssooooo decadent! I grew up in texas and there was a chain of restaurants called tippins that had a huge assortment of pies. French silk was my favorite – wonder if this is similar? Replying to commenter #41: That’s my go-to chocolate pudding pie, too! Although those chocolate wafers are insanely hard to find, and even harder to find when you live in Mexico. (Although I could make Deb’s chocolate wafer cookie recipe and use that as the crust, but that’s too much for me.) Funny that I just realized after reading this post that I don’t NEED the wafers to make an awesome chocolate pudding pie. Maybe I’ll try Maria cookies for the crust instead…. ohhhh boy. I always hate/love clicking on your new posts. this looks heavenly! I have been waiting for you to post something yummy from your holiday weekend menu…I am NOT disapointed! I have made this pie many times, and it is AMAZING. It is definitely a go-to recipe for me on special occasions. I make it with a crumb crust like the Gourmet recipe suggests, but I use chocolate graham crackers instead of chocolate cookies. 100% delish!!!! my mom makes one of these that’s very similar, if not exactly the same recipe, but she serves it frozen. Oh Chocolate Pudding Pie is my weakness! I cannot wait to try this recipe. Thank you! OMG – this looks absolutely devine. I could easily eat the whole thing – not sure I could be magnaminous. Chocolate pie is my husband’s absolute FAVORITE dessert! Thank God bathing suit season is over. oh man I could use some chocolate right now and it’s great I have all the ingridents for this! It looks just like my mom’s did! We always had this pie growing up. It is one of my favs. And once I started making it myself, my mother taught me a something– the chocolate pudding pie cook should always make a tiny individual pie for themselves in a ramekin, to savour later. Because why not? This looks decadent and delicious. Thank you for the pudding recipe. I’ve never made it from scratch before. Now I’ll have to try! I totally made this tonight. I needed to re-stock my baking pantry with cocoa and chocolate anyway… and as someone who’s familiar and comfortable with pie dough in general, the speed with which I could put this together was awesome. I’m headed to a large family vacation next week and plan to make this for them (using the other crust I could get out of the butter crust), as I know it’ll be a crowd pleaser. I thought I needed an excuse. Turns out a lazy Monday off from work is reason enough. Once again, thank you, Deb. Your kid sure is in for some good eating. Oh my – that looks delightful! Love your blog! I just made this, and it was amazing! As you said, not overly sweet; but definitely chocolaty!! Thank you! This is happiness in a pie pan. Yum! I’ll be 30 weeks pregnant tomorrow and it’s been fun reading about what you’ve been craving. I seem to have regressed to my grade school diet and live off peanut butter and jelly sandwiches and pasta (I do sneak a lot of vegetables in with the pasta!) And chocolate pudding–specifically, Kozy Shack chocolate pudding–has been a mainstay. It’s just so good. If I have the energy before this baby comes, I’ll have to try this pie–it looks amazing. Hope you’re feeling good–and enjoy the next couple of weeks! During my first pregnancy all I craved was pie, Pie, PIE! Fruit pie, cream pie, pumpkin pie, pecan pie, bring it on, baby. Second pregnancy and a bout of gestational diabetes, so – NO PIE. Instead I craved spinach sauteed with garlic, tuna fish sandwiches (couldn’t have too many) and cantaloupe. I hate cantaloupe, but I LOVED it when I was pregnant and the minute I wasn’t pregnant anymore – I hated cantaloupe. That looks like heaven. I’m trying to resist. I had my second child at 37 weeks! I just had to make this tonight. We didn’t even have all the ingredients and it’s labour day so we went to the neighbours’ for different things. It was delicious! And I’m bringing mini versions from the tiny cupcake tins to share at school. This is the best recipe in a while, fantastic pudding. pudding cakes are so wonderful and so trashy. I love how you post about things that can be customized to people’s every whim. typically, I don’t care for pie, but chocolate pudding…that’s a different story. if and when I get into baking pies, this one’s the first one on my list. Have you been reading the Sweet Potato Queen books? This is one good looking pie and, while it might not have a story for you, it does for me. 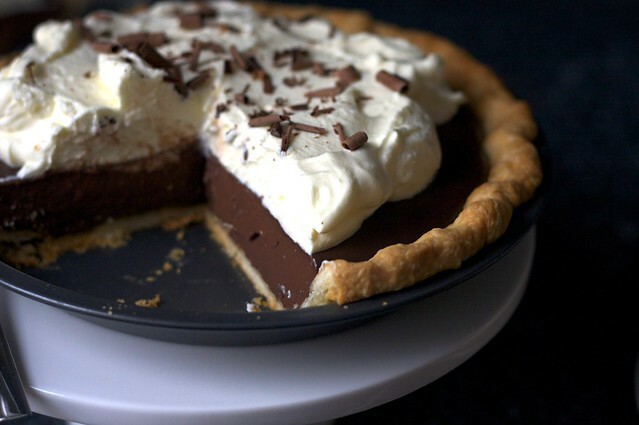 My mother had a long-term gentleman friend way back in my childhood for many years who used to pick up the most wonderful chocolate cream pie before paying her a visit. I’ve been baking my piecrust blind that way for years – but you can skip the trouble of the buttered foil. Just freezing the crust will suffice! Hi, I just cooked and ate this (not all myself, I had guests tonight!! ), using your recipe. It was sensational. Kids loved it, guests loved it, hubby loved it and so did I.
I used milk chocolate (which I think is semi-sweet?? in the US) instead of dark (which is bittersweet – yes? Im in australia and we have white, milk or dark chocolate) and it worked really well – I was using a good quality cocoa which has a very intense flavour and didn’t want it to be too much for the kids. Also hubby, being a non-cooking man got thickened cream from the supermarket accidentally, but I whipped that and it actually made a really lovely topping with a similar consistency to the chocolate part. Worked really nicely. Loved the pie-crust as well and my guests all want emails with direction to your website. okay, it’s only 6am here in NJ but I am suddenly craving chocolate pudding pie and want some now–those photos look amazing! Also I am soo envious of your status-the 37 weeks+ pregnancy status–i know it sounds crazy, but I am done making babies and now only making desserts, lol, and I miss those times, so happy 4 u! Milk chocolate in the U.S.A is simply milk chocolate, there is also semi and bittersweet, all different. I would be glad to stop over in Australia and bring a bag of each. I know I came. That pie looks delicious (and I’m not even a chocolate or pudding fan). Unfortunately I came upon it after the weekend had already passed so maybe next weekend. Wow this is some good looking pie! My mouth is watering! Thanks for the recipe. I was just recently thinking about my mother and chocolate pudding pie. She could take the simplest things and make us kids think she’s a gourmet cook. For example:cream of corn soup (one can of creamed corn and another of milk). One of our favorite treats(kids didn’t get treats as often then as now and that’s what made them so wonderful) was her chocolate pudding pie: graham cracker crust, chocolate pudding and whipped cream. Heaven on earth!!! It looks delish, will have to try it. People will come all right! Luscious chocolate pudding in a pie crust! I’m in that long line you see outside your house! This is a Southern staple! I love it! Now I want pie. Now I must ask, Deb, if you have ever had coconut cream pie or banana cream pie? I am getting the feeling that you might be a closet Southerner. That is a good thing. One of my favorite tarts to make. Sometimes I top with whipped cream, sometimes with meringue. My daughters don’t always eat my fruit tarts (go figure? ), but they will always devour a chocolate pudding tart… and I help them! Mmmm…this brings me back to my youth. I don’t think there was one visit to my grandma’s house where she didn’t have a chocolate cream pie waiting for us. This is one of my ultimate comfort foods. Thanks for sharing! I’ve been making chocolate cream pie for years, but using the egg/custard recipe. I will definitely try this instead! Nice photo, too. 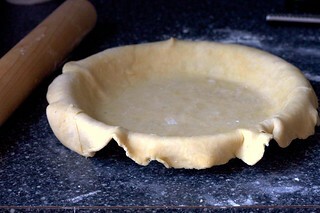 On the blind baking, I have never used pie weights either…despise them…using a simple pie crust pricked before baking has always worked for me. my mom’s been making this pie since i was a kid, and now i’ve taken up the tradition. it’s outrageously easy and incredibly satisfying. plenty of times we even use jello boxed pudding mix and it still turns out great. also, i have to admit, i have never ever used pie weights, and i also never refrigerate my crust (i use shortening, not butter). my mom’s biggest trick was always “don’t play with it!” and it seems to work well. You can blame anything on pregnancy without the need to provide a second sentence and once the baby hits about 4 months you can blame every unpleasant moment on teething. Pregnancy and teething – two perfect excuses for anything. The #1 question in my mind is…will anyone balk at the idea of my eating this for breakfast? I think this *might* help me overcome my pie aversion~it looks beyond yummy..
no kidding, just this weekend i scored some scharffen berger chocolate on super sale at williams-sonoma, and i was thinking that a chocolate cream pie might be the best way to feature it. “baking illustrated” (http://tiny.cc/WrrFD) has a genius crumb crust with their recipe that’s made of crushed oreos — cream filling and all — plus a bit of butter. i’m even more inspired after seeing this post! i have to say, as wonderful as that cookbook is, your photos are doing a lot more for me than the book’s line drawings. If you’re now “craving” some more pie, try this one! Wow! My mom used to make me pudding pies all the time when I was in high school, and I’d forgotten all about them! We were all about the Jell-o at the time, but I have a feeling this one would be more up my alley 10+ years later. This only looks like the most amazing dessert ever! Thank you. Now, this is my kinda pie! I need to figure out how to create smaller servings at a time, or make more friends to share with! That picture looks lickable! This looks fantastically delicious. I am totally on the prowl for a really good, tasty and somewhat easy “Black Bottom Pie” receipe – which is my alltime favorite pie. Have you ever had it? The version I remember having years back had rum in the vanilla part. Soooo good. I wanna eat that. A lot. Right now. Damn wedding diet! This looks simply fantastic. I may try to make little tarts for the office! It’s all I can do to keep myself from running to the store right NOW to buy the fixings for chocolate pudding pie. With fresh whipped cream!! Why, oh why, are you doing this to me? I am due on Thursday, have already gained my doctor-approved 40 pounds, and now I’m going to have to go make an entire chocolate pie. And not share. I tried your blind baking trick when I made this pie today. Worked like a charm! I don’t hate using weights, but this is much easier once it’s baked. I sort of adapted this filling recipe a little. I wanted it just a little richer, so I just added 2 eggs yolks to it, that’s all. The filling sure tastes good! love the photo of you and your pregnant stomach…..ahhh. gestation was sooo good to me. Oh my…I may have to make this tomorrow, while everyone is at school and work, and not tell them. I made this a few weeks ago with your recipe for chocolate pudding. (The really simple and DELICIOUS one!!) I did use crushed graham crackers on the bottom of the ramekins, and boy did my husband and I rush through dinner that whole week just for dessert! This sounds and looks absolutely delicious. I’m scared to make it because I may just eat the entire thing myself. Man, there should be a place for all the comments to go which have advice (or whatnot) from people who have already tried making the recipe, separate from the feedback “wall” for people who think they’d LIKE to try the recipe. I definitely search through all the comments before deciding whether to make the recipe, and having one place dedicated to all those who’ve tried it would be helpful! (Sorry, I know that you are 9 months pregnant and not looking for website advice). Hell, I’m done for. This is the 3rd site I’ve seen in the last hour with chocolate and crust and yumminess but this one takes the cake… I mean, the pie. Thanks for sharing it and my hiney thanks you too. Have you tried blind baking with parchment paper instead of buttered foil? Would that work without having to butter? It wouldn’t press tightly against the crust. The foil works almost like a second pan, weighing the crust down. Mancakes, maybe us commenters can do the work? What if we type (in caps) REVIEW at the start of our comments if we have actually made the recipe? That may help when scanning the coments. Deb, does that sound useful to you? I did a few reviews that way last year, but no one else seemed to pick up the habit. Oh my god, this looks so good! I never have any luck making custards but I’m going to have to try this… think it would be good just as a pudding, without the crust? I can never be bothered making crust. I made this yesterday for a nearly last minute barbecue, and let-me-tell-you Miss Deb, this is some tasty pie. For whatever reason, this is the second time I’ve had trouble with the all-butter crust, but I blame my incompetence. All I know is that that corn bread salad, roasted corn relish (I just posted it on my blog it is so, so good), pie, and beer made for one lovely evening last night. I agree with Kristen (comment 41) – I’m sure this one is good but the OTHER chocolate pudding pie on Epicurious is a keeper with that chocolate cookie crust. In fact, now that I’ve seen your post maybe that’s what I’m making for my anniversary dessert this weekend. Not so traditional but really what is the traditional 6-year anniversary dessert??? I’ve never made a pudding pie, using a ‘real’ pie crust, but it sounds phenomenal. I can’t wait to try this recipe and surprise my husband with something new and delicious! Thanks for sharing this recipe! Ok this just looks too divine for words. My co-worker shared the link with me and the first image that I just loved was the sliced one seeing the layers. Cream and chocolate, its so devilish. Thank you to my co-worker for sharing and thank you to you too :-)). I’ll give it a go … well try. Looks divine! Cream… mmmmmm. You are killing my waistline… or what used to be a waistline. Thank you for your tempting ideas! Mmmmmm pudding pie…one of my favorites!!! Looks great! Perfect for the pie craze i’m currently going through!! How long should it take the pudding filling to come to a boil while whisking? Thanks!! Wow, what a mouth watering post! I love how you have made chocolate pudding so elegant. 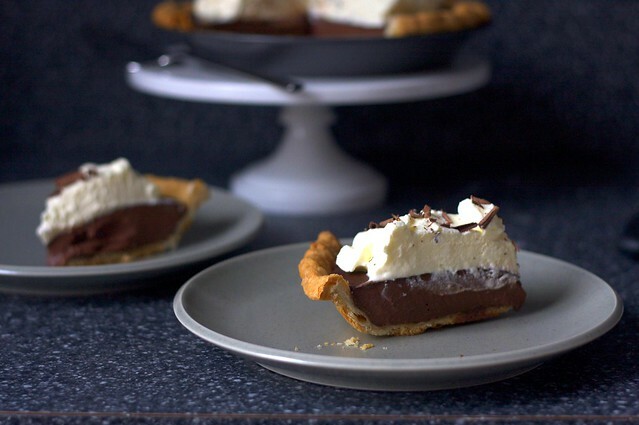 I have seen chocolate pudding pie made with a cracker crust, but using a pie crust is a wonderful idea, and I bet makes things feel a bit lighter. I will be trying this one for sure. Smitten Kitchen is a wonderful site and something that I know will never disappoint, it is very clear how much thought and care goes into it. You really are an inspiration, thank you! My grandmother who just passed away used to make this pie for me all the time growing up. She got it out of the “old” Betty Crocker cookbook. It brings back very fond memories for me. Thank you for making me smile. Mmmm. I grew up eating pies like this,EXCEPT they were topped with meringue and baked or broiled for just a few minutes til the swirls colored (yes, just like lemon meringue pie). I suspect the pudding may have been sweeter than yours (and was enriched with the egg yolks from the eggs that provided the meringue), but the ethereal combination of creamy chocolateness and cloud-like top was a joy.It must be a Southern thing. No one else I ‘ve mentioned it to has ever heard of it. I really need a piece of chocolate pie to comfort me! 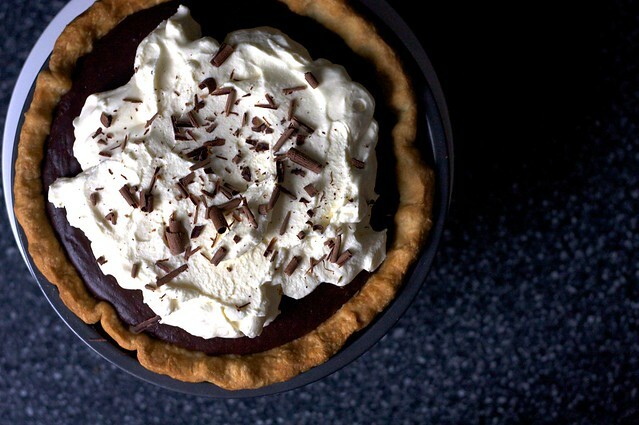 Chocolate pudding pie is my 10 year old daughter’s all time favorite…no holiday is complete without it. I’ve been using my mom’s recipe which uses just cocoa to make the filling. I’ll be tempted to add some additional chocolate this holiday season. This looks completely delectable. The only way it could be better is if it were a lemon pudding instead of chocolate (I’ve been gorging on lemon buttermilk sherbet, at least one batch made a week). Perfection. I love the combination of pastry crust with pudding. OH MY! i am so hungry rite now..no wonder i decided to check out ur food blog. look at this pie. i want to eat the screen…this is killing me! i guess i should get of my computer chair and find something as a substitue-cuz there is no way i am making pie at this hour. oh i do hope i have some hershies chocolate waiting downstairs. cant wait to make this is looks incredible. Oh THANK YOU!!! I can’t wait to try this. Love the look of this pie! I hate to blind bake and will try your technique – one question though, did you still add weights after you froze and put the buttered foil on?? Jen — No. I skip the weights altogether. My hubby’s b-day is tomorrow and he always wants an icebox pudding cake with cream cheese that is super heavy! This would meet the flavors he likes and a lightness my waistline will appreciate. Can you fall in love with a pie? I’ll be making this pie tomorrow for my best friend’s birthday party! Thank you so much for the inspiration!!! Wow, that is beautiful! My family loves chocolate pudding pie…this one is a must make! I forgot to add that I used dark chocolate cocoa powder and it was so rich. I lived dangerously and skipped any pie weights or tricks, no puffiness was found n the crust. I’m 37 weeks 2 days pregnant, and the pictures were torture. So I waddled into the nearest grocery store to pick up the ingredients and whipped this up in no time! Thank you for all your awesome recipes…we pregnant women have to stick together! Don’t ever try to put yourself between a man and a good Chocolate Cream Pie…chances are they’ll take the Pie, lol. However I have tried afew different versions (one from Cook’s Illustrated) of which I put my trust in (they will test a recipe to exhaustion before putting it in print) and although it is very good, it was more ‘labour intensive’ than I would have liked. This version looks simple, fast to throw together and very delicious. A good chocolate cream pie should not have any lumps in it, carry a rich chocolate flavour with a creamy consistency and not too sweet! Smitten Kitchen rocks with some amazing recipes of which I intend on trying once the cooler weather is upon us. haha yeah if u want something, go get it. you dont need a reason to do anything. Tried this today and it was my first ever utter failure at baking. The pudding did. not. set. I know you were not here in my kitchen so you probably can’t tell me what i did wrong, but any more specifics you can give about thickening up the pudding? How long is it on the stove? How briskly do you whisk it on the stove? How thick is thick? Does it get thick like Jello pudding on the stove? Hi Melissa — Not sure what happened (and it sounds like you’ve been reading my comments for a while with your “not here in my kitchen” caveat! Heh.) but I did want to say that despite their seeming simplicity, cornstarch-thickened puddings are known to be tricky. Sure, they work most of the time for most people, but, well, here’s what Joy of Cooking has to say about them: “Many of our readers have wondered why, on occasion, their puddings, after having thickened properly in the sauce pan, suddenly thin out. This dismaying mystery has to do with the nature of cornstarch bonds, which are surprisingly fragile, especially once the pudding has begun to cool.” JoC says that you should not beat, blend or strain cornstarch puddings after they’ve been taken off the stove, even if they’ve lumped, just to pour them into the dish where they are supposed to set and not touch them before they have cooled and stiffened. However, if yours did not thicken on the stove (it will thicken about halfway, and will be clearly thickened, but not as thick as a set pudding will get) it is more of a mystery to me. Thanks Deb. I will try it again sometime and hopefully have better results! I’ve been checking out your blog for awhile, and this finally insprired me to action. We had a couple of friends over for dinner last night, and I wanted something that was easy and served cold (record breaking heat and all), and so I made this pie…amazing! Totally easy, and not too sweet. It actually tasted like chocolate instead of chocolate flavored sugar goo. People went back for seconds, and that was after glutting ourselves on tacos. This is one that will definitely fall into the “hey, can you make that freaking awesome chocolate pie again” rotation. Thanks! Hi Deb, like Crunchy robot above, I made this for a dinner with friends on the weekend. It was FABULOUS!! Exactly as you described, not too heavy or sweet. I loved the slight saltiness of the pastry too. And it was so easy to make!!!!! We all had 2 pieces. Thank you for a great recipe. This is the first time i tried anything from your website and now you’re my kitchen goddess! It turned out wonderful, and seeing how crazy humid it is in Karachi, i was really surprised when the pudding ACTUALLY SET.It never did in any of my previous pudding pies. My fiance loved it, and he loves me (:)) for it. Hi Dawn — The pudding firms up decently, so it was just the matter of a very sharp knife, so you don’t have to drag it back and forth, oh and making sure you get right through the bottom, which because it is pre-baked, is super crisp. Welcome back! I made this last Friday and have been eating it ever since. This pie is freaking delicious and I will make it again and again and again. So simple. I am really getting hungry checking all your recipes and there is no food close to me ;-) A really great website. Will be bookmarked! This. Is. THE BEST FREAKIN’ CHOCOLATE PIE in the known universe. My husband, who is otherwise a perfect, mannerly, easy-going gentleman who will sweetly eat anything I make and never has any opinions about it, will sit up and all but DEMAND I make him this pie. What happened is I made it for company last Sunday, and sent the remaining half home WITH the company. (It WAS their pie plate, after all…only being polite…) Unfortunately the husband found out what I had done, and mourned the loss of that half a pie like it was a family member. Did I mention that he normally doesn’t give a darn about food, really? Needless to say, I made him another. And also needless to say, I sooooooo didn’t mind. I just made this, and it was completely and utterly fantastic. Orgasmic is probably a better word. My only question…I made the pie dough and used your pie weight substitute trick, which kept the crust from bubbling up, by the sides of the pie (which were long enough and crimped when the crust was dough) completely collapsed in the cooking process! I admit, I have never used pie weights before, but I’ve never had this happen before either and I’m totally bummed out about it. Do you have any tips or ideas? I love love loveee chocolate pudding pie..takes me back to when i was a little kid. Made my own pie for the first time two days ago and it was a winner! Making it again tonight!!! thanks for the lovely photos. Oh the first time i used graham cracker crust–graham cracker crumbs + butter. tonight i will try your buttery flaky pie crust!! I made this yesterday using soy milk and it worked great! It set up perfectly and tastes super. Thanks! I grew up despising pie. Every holiday, we would have no less than 3 types of pies. But my mom knew me. She always made me that 1 chocolate pudding pie. When I “grew up”, I always offer to bring the pudding pie. NEVER should one feel guilt about making a chocolate pudding pie. Wow! This looks so easy and delicious. I didn’t know this was so easy to make. I’m for sure going to make it now. Thanks for the delicious recipe. I made this last weekend when a group of friends came over for dinner. It came together so easily and was DELICIOUS. I will definitely make it again! I made two of these yesterday for my family’s Thanksgiving dinner (with a nod to my brother’s birthday on the 13th – chocolate pie was the only kind he’d eat when he was little). I used my mother’s pie crust (as she had already made some for the pumpkin and apple pies that she’d baked), but otherwise followed the recipe. I found the pudding thickened up much more quickly than I’d expected and the preparation was almost ridiculously easy and fast. Everyone LOVED the pie – the consistency was perfect and the flavour a great match for the whipped cream. Thanks! Thanks for another great recipe! I made this on the weekend for friends and it turned out beautifully. I followed your directions to a T, even for the crust baking – and I am never messing with pie weights again! The pudding was chocolatey and silky and not too sweet, as promised. Next time I think I’ll try it with a graham cracker crust – I think that will make it like the pudding pies of my childhood. The best chocolate pie ever! I think the added bittersweet chocolate elevates it from ordinary pudding. Every silky and smooth. This is exactly the recipe I was looking for and I knew I would find it right here. Thanks! I made this pie with a cookie crust made from your roll-out brownie cookies for Thanksgiving and it was unanimously declared the “best chocolate pie ever.” Thanks for an awesome, easy recipe! Oh, and I went without pie weights as well. Flattened it with a spoon when I took it out to remove the foil, and didn’t have any problems! hi, just wondering about the recipe – why can’t you use more than 60% dark chocolate? I have some 64% and 72% chocolate and I would be making this for someone who likes darker chocolate more than milk-ier types…is it something about the sugars or milk content in <60% dark chocolates that is necessary for the pie to work, or is it just a taste preference thing? The pudding is not particularly sweet and something above 60% could make it too bitter. If you like your pudding that way, of course, use whatever you’d enjoy. Why did you not use your “Best Chocolate Pudding” recipe of February 2008? I love chocolate pudding pie and am snowed in today and, well, there will be chocolate pudding pie. Because I was a gazillion months pregnant and I had totally forgotten about it. However, I realized in hindsight that they are very similar. 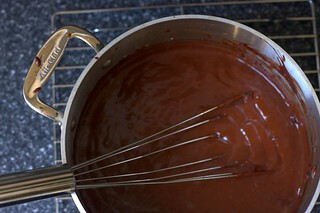 The previous pudding recipe has slightly (like a tablespoon or two) more sugar and two ounces more chocolate. I would say that it is more intensely chocolaty than this, but this mildness of this works well in a pie shell. Hope that’s a helpful comparison. I have this chilling in the fridge right now. I licked the pot – it was SO good. Can’t wait to try the pie tomorrow! Thank you so much for the fantastic recipe! I made it last night for dessert. My kids “fought” over who got to clean the pan out! Needless to say that everyone loved it. I thought I had bittersweet chocolate, but actually I had unsweetened. I increased the sugar a bit and also added a bit more sugar to the whipped cream. Everyone loved it, but I think next time I will use bittersweet chocolate. I had a rough day at the office today, and a slice of this amazing pie made me feel so much better! It still tasted good, the crust was not as crisp, but not soggy. Thanks again. Wow. I will never buy pudding at the store again. The pudding in this pie is magic! I could live off this stuff! Not too sweet or heavy, so creamy and yummy! I made it with a graham cracker crust because I’m lazy and that only takes a few minutes to make. Thank you! Deb. . .made this wonderful pie yesterday for a ‘girl’ dinner party. Yes, I licked the pudding pan and then took a nap! However – the crust was more than crisp – in fact it was downright hard when we cut into it. Do you think I over- baked it? Have to confess that I’m not an experienced ‘crust-from-scratch’ baker so I was pretty careful with your instructions – nevertheless the crust was yummy but difficult to cut through with a fork. So – the three of us tossed around ideas for what could have happened as we pretty much finished it off! The pudding set up nicely by the way – and was a perfect sweetness – I am now spoiled! I’m tempted to use a graham cracker crust next time but would really like to believe I can bake a decent pie shell. . .any ideas – other than practicing more? Hi Deb. I’ve got a bun in the oven myself now, and baby was demanding this pie! Unfortunately, my pie crust shrank. I’m sure it will taste great just the same, but I’m a bit disappointed (and hoping it will hold all of the pudding). Any ideas on how to prevent this in the future? (I used your trick to avoid pie weights.) Thanks! I made this last night.. i cheated a little and used a premade, frozen marie callender crust, but it was amazing all the same. my only gripe was that it seemed a little TOO intensely chocolate for me – id like something a little milkier, i guess? any suggestions on how to change it up? Just tried to make this, and the chocolate pudding bubbled and bubbled and never thickened, and then tasted burned! What happened?! I’ve had this recipe on my mind since I saw it last summer (but, at the time, I was also super pregnant yet lacked Deb’s energy!). I finally got to have it last night after requesting it for my birthday dessert. My sweetie made it exactly as is, and it is wonderful! The crust is the butteriest and flakiest pie crust I’ve ever had, and the filling is so chocolately delicious. It is a bit richer than promised, but is that really a complaint? It is the perfect level of sweetness, too. He served us each a slice with a large fresh strawberry, which was perfect. Make this pie immediately! I finally made this and it turned out perfectly! I just made this last week using soy milk and got rave reviews! Thanks Deb! I love you for adding a chocolate pudding recipe made from scratch! I’m a chocolate pudding skin lover and this looks like it created a great skin. Living in England now I can’t find Jello cook and serve pudding so this recipe is a must! I made this tonight and it’s wonderful, except, my pre-baked pie crust turned out tough. Now truthfully, I put a meringue topping on this because that’s how my husband’s grandmother does chocolate pie, and he likes what he likes. I say this because the meringue meant that after everything was all done and chilled, I topped it and stuck it back in the oven for about 10 minutes to brown/cook the meringue. Would putting a pre-baked crust back in the oven turn it tough? – Too much baking? or do you think it actually wasn’t baked enough to begin with. I’m pretty careful in my dough making and don’t tend to have this problem with two crust pies. Any thoughts would be appreciated. im looking forward to making this! im a fan of foods that can be freezer stored for quick future meals/desserts. do you think that this pie (minus the whipped topping) can be baked and then frozen? pie shell and all? or will it get mushy after its been frozen and thawed? thank you! love your site! Loved the flavor and recipe, however, my pie watered out after slicing it. Did I do something wrong? (I made it a day ahead and let the pudding cool before putting it in the pie shell) Thanks. Made this for Thanksgiving, using a chocolate cookie crumb crust, and everyone loved it. It’s a new family tradition! My brother has been begging me to make him a French Silk Pie, but I find those far too sweet. This should trick him, and give me something delicious to eat too. I’m trying it this weekend. i’ve had a great many chocolate pudding pies and this one is my favourite by far. i just finished devouring a large chunk of it. made it earlier this evening. thank you thank you thank you! This. Was. DELICIOUS! The pie crust sounds labour intensive and much more effort than cheating and buying pie crust – but it is 100% worth it. I’d not yet made a successful pie crust untill this foray into deliciousness, and I wanted to say thank you! It’s a lot easier than it initially seems. And the pudding is a piece of cake! I made this yesterday when boyfriend and I went to his grandmother’s for coffee. It was a hit, there wasn’t anything left over. Best of all, my pie dish was a little smaller then the one recommended in the recipe, so we had some filling left over to have for pudding last night! I made this pie this weekend for a Pi Day party, and it was the only pie that was completely devoured! anyway, this version was also delicious- and without any vegan qualifiers, even- although it took 6 hours to fully set… maybe that has to do with the coconut milk’s proteins being so different from cowmilk’s? hmm. SO good! I made it with a quick graham cracker crumb crust. My roommates devoured it! holy cow i love this pie! thanks, deb! When my daughter recently requested a chocolate pie, I knew SK would not falter (I was tired of my old recipes, and needed something fresh). I did cheat and use a Mrs. Smith’s pie crust (I didn’t have the energy to make my own – don’t judge me). Man oh man is this our new favorite chocolate pie! Incredibly easy and oh so good! Will be making another this weekend. Thanks so much for such reliable recipes (nothing I’ve tried has failed me yet). Looking forward to the cookbook! Mine won’t thicken. Please help. My 5-year-old daughter is allergic to both soya and milk, so for the pudding I substitued milk for rice milk and butter for vegetable oil (olive oil in my case, I’m Spanish!, but I guess cornflower oil would work well. You wont be able to taste the oil on the pudding I promise you). It came out delicious! Everybody, and my girl of course, loved it and it has become a regular at my home this summer. Hey deb i just made this and after letting the filling set overnight it’s still jiggly wiggly. What exactly is the consistency of the filling supposed to be? Sasha — It should be a bit more firm. Cornstarch puddings, however, are notoriously finicky. Finicky to the point that every time I post one, I swear I’m not going to post another one ever again because of the handful of people who don’t get my results. So, it’s not just you. Hopefully, it is still delicious, even if it doesn’t cut cleanly. Hey Deb,this Thanksgiving was a “fridge clearing” event at my house- Long story short, only using ingredients already on hand. Made your lovely chocolate pie pudding and substituted the milk (not enough to spare, so many other things to cook) with “lite” coconut milk that I had on hand, it’s the only thing I changed with the pudding part, it was gorgeous, sooo silky!!! I was doing other pies and didn’t want more pastry so I did a pecan macadamia nut crust- the combo was dreamy! Everyone’s fave, glad I found you! when you say “not more than 60% cacao” does that mean that a 61% wouldn’t work? I know you said that it’s a matter of taste, but I don’t find any good quality chocolates at exactly 60%, so I have to choose between 61% and 55ish%, and I don’t want my pudding to be too bitter or not chocolate-y enough. This chocolate pudding is what the boy asked instead of a birthday cake, so it has to be perfect :) I really liked your description of it, as “surprisingly unsweet and not heavy”, that’s why I’m asking… Which one do you think would work best? If you’re nervous about bitter, go with the lower cocoa percentage. However, I think you’ll find both to have similar results. Deb, I was wondering if you thought this pie could be made ahead and frozen? I’m going to a pie making party tomorrow and the pies won’t be eaten until Thanksgiving. My plan is to use a graham cracker crust, at the request of a few finicky family members, if that makes any difference. Erin — I haven’t tried freezing it. I’m hesitant about how well cornstarch-thickened puddings freeze; I seem to remember something about the cornstarch bonds not holding up in the freezer but could also have remembered this incorrectly. Some help I am, huh? This pie was awesome. I substituted the milk for canned coconut milk for a dairy free version. It adds a subtitle flavor and was great. I made the filling and whipped cream yesterday for a pre-Thanksgiving dinner. It was a huge hit! Thanks for the recipe! Unfortunately I didn’t have time to make the crust, so that’ll be put to use for an upcoming Pumpkin pie! Try it with a Oreo pie crust or if thats to much choc for u try the shortbread pie crust! Mmmm. It’s delicious. I made it with unsweetened chocolate, instead of bittersweet and it turned out decadent. Thanks for a great recipe. You did too have a good reason… You were growing a tiny human! made today – we loved it and so did our neighbors who had the leftovers! thanks for a great recipe! I’ve been eating chocolate pudding for daaaaays now from this recipe!! Thank you, it’s so good! I took the pie to a party and it was a hit. The first time I used a graham cracker crust (from your Smore Pie recipe) and the second time I used your pie crust here. Thanks also for your pie crust 101, 102 and rolling tutorial. My first ever foray into a homemade crust, and while I definitely need practice, it turned out well. Seriously, I love this chocolate pudding with the whipped cream. I don’t think I can make this with a straight face after reading / watching ‘The Help’. I made this once, with a graham crust. Couldn’t get over it. Making it again. With a real crust. It is just what I wanted, and you are so right, not heavy! Hope your delivery went well, and thanks GF! made this last night for my cookbook club (we all cooked from your website!) and it was delicious! i had a disk of homemade pie dough in the freezer, so it was easy to put it all together. i love chocolate pie and this was just as wonderful and comforting as i’d remembered. thanks for the recipe. I made this using dutch process cocoa — the dinner guests raved about the flavor and pie appearance. Great recipe! I made this pie for Thanksgiving and it was fantastic! While daunting at first, making the crust from scratch was actually very easy. I can’t wait to make this pie again. You taught me how to make pie crusts. Thank you. I’ve made this specific pie numerous times, it’s always a hit. Happy new year. In your cookbook version of this, you call for “chocolate wafer crumbs” – but I’m not sure what a chocolate wafer is! Is it a non-brand-name way of referring to Oreos, or something else? Thanks! Sheila — The book version is a silk pie — full of raw eggs and butter. This looks similar, but the filling is pudding. You could use Nabisco chocolate wafers (they’re the standard) or any other plain chocolate cookie. In a pinch, you could use Oreos, but with their filling, it’s less ideal. You could also make a quick batch of these cookies and grind them up. They make great crumbs and you really don’t even have to soften the butter; can just run it in the FP until it is softer. Deb–FIRST, congrats on the book! SECONDLY, congrats on all the great press on WNYC!!! WOOT! Here is my question: I am obsessed with making a coconut-macaroon-crust chocolate pudding pie–made with coconut milk instead of milk. Is subbing the dairy for coconut milk advisable, and if not, how can I modify it? You are continually the best! Thanks!! I haven’t tried it but commenters #154, 213, 220 and 228 sound like they’ve tried it. Hi Deb! I was just wondering if I could substitute the 9-inch pie tin with a 10 x 7 retangular tin instead? If so how much more or less filling should I make? Mine hasn’t firmed up right, or at least in the last, oh say 5 hours. I think it’s because I didn’t actually allow it to properly boil since I was paranoid about the milk curdling.But I don’t think that allowed the cornstarch to dissolve so I had to strain my sort of pudding to make sure most of the clump bits didn’t get into the pie crust. I really hope it firms up by this morning (it’s 12:03am here). Wow! This is amazing, and it has nothing to do with the fact that I’m 5 months along :) I just had a slice for breakfast. What really sent it over the top for me was putting some chocolate pieces on the bottom of the pie crust as soon as it came out, letting them melt and then spreading them. Added a richness and a nice crunch once it sat in the fridge and will hopefully keep my crust from getting soggy. I just finished reading “The Help” and now I want to make this pie. I love when a book makes me want to cook/bake. I am not a baker..but I made 2 of these tonight for my sister in law for her birthday tomorrow…at her request. I found this recipe and thought it was very easy to understand. I licked the spatula and I think I am in love!!!!! Warm chocolate pudding may be my new favorite treat! I can’t wait to serve these tomorrow…thanks!!!! Hey Deb, please could you include the ‘gram version’ of this recipe? I checked the individual pudding recipe but this one is different. The pie dough comes with gram conversions though, no need for that one. Thank you! Thank you for posting the pie dough recipe. I made the dough twice and they were great. Thanks again! wow….i’ve tried this and for sure, no other word could describe the this pie except AMAZING!!!!! !, the recipe is simply amazing and and I’ve been using the exact same recipe for the crust and I just fall in love with it since the first time I used them. There’s one problem,… well it is not really a problem. whenever i make the pie crust, I usually ended up having the left over dough which is not only enough to make 1 but 3 more pies. So,next time, whenever I feel like making more pies, I just grab one from the fridge and just roll them up. Thank you sooooooo much for this hearty recipe. This recipe is SOO EASY to make. I was always afraid of the kitchen and its only been in the last year that I’ve gotten the courage to create some really good meals in the kitchen. I made this for my mother in law and it was A HIT!! So much so that it might become a new staple for the family. I did tweak it a bit. I used 2 ounces of bittersweet and 2 ounces of semi sweet. It’s delicious! This has two fewer ounces of chocolate than your plain pudding recipe. Intentional? I wound up tossing in a bit more. Yum!! Thanks! Easy! Made this for Valentines Day and it turned out great. I realized too late that we only had 1% milk so that is what I used instead of whole milk and it was perfect. Long time listener, first time caller. I made this again tonight, and I felt I should finally give my thoughts on freezing it. A few years ago I made this too quickly, my crust died a horrible death and I had to start over without enough time before my potluck. I drove to the pot luck with a warm, barely set pie. When I got there I put it in my friends freezer and promptly forgot about it. We went out for pub trivia and came back hours later to frozen pie. Behold! It was not horrible, but tasted like a fudgcicle pie. It had the same texture as those 50 cent packaged ice creams you get at elementary school or summer camp. I’ve done it a few times, especially in summer, and it’s a welcome cool treat with fun icy texture. My advice is to freeze it while still Luke warm, for maximum ice crystals. The crust stands on it’s own too, as well as the whipped cream. It needs to stay frozen after you freeze it, or it becomes slush pie. Thanks Deb for all my wonderful meals I’ve eaten over the past few years. My boyfriend says, “more potatoes,” which might also mean thanks. I used 72%, because that’s what I had lying around and we ♥ bitter chocolate, so all good. Where I live it’s really warm, though, so the dough was really difficult to work with. It started to sweat seconds after getting out of the fridge. Ended up with a beautifully golden brown crust, so no harm done, I suppose. Made this for Pi Day with quite lovely results. As a note, my pudding suddenly thickened up a short while *before* it actually came to a boil. I wasn’t sure whether to cook two minutes from when it thickened or two minutes from when it simmered, and might have scorched one corner of the pot a tiny bit. This is definitely one for a flat whisk, or if you don’t have one, a regular spoon to clean out the “corner” of the pot regularly as your are stirring. I also made this for Pi Day… I was planning to make a banoffee pie but my bananas never ripened, so I put this in the graham cracker crust instead. I was not disappointed! Great recipe. Less than 24 hours later, most of it is already gone. I make this as a go-to dessert and everyone loves it! Tonight I’m using the pudding as part of a s’mores graham cracker crust pie with marshmallow whip! I just made this recipe for a work BBQ. It was so easy and looks so pretty and tasty! Thanks Deb so much for sharing this recipe. I made it with a shortbread crust and am very excited to try it tomorrow! I know this is an old post but I have a question. Do you think I can make this with a raw-nutty pie crust (almonds- other nuts and dates)? Do you think it will hold up? Jennifer — I’d expect it to hold up about as well as most pies do with them — well, not perfectly after a day or two. I am sure it would be delicious. This was really excellent. I thought the crust could be thicker–I’d use 1 1/2 of the dough recipe next time. I also caution people not to be so worried about the crust burning that you pull it out too soon–this is your one chance to get it good and brown and crispy, so watch closely and let it bake until thoroughly, deeply golden brown. Hi deb :) I’m making this as a pie for thanksgiving tomorrow and have actually made it many times before BUT I’m wondering what you mean by ‘pie dough can be made and chilled up to two days’. Do you mean made and in the pan refrigerated or baked and then refrigerated orrrrrr? I’m just wondering if I should just make the crust tonight and the filling in the morning but the crust is already baked and cooling. Thanks! Cassie — You have a few options. You can make the dough and keep it in plastic, not rolled out, for a couple days in the fridge. You can roll it out and fit it to the pan and not bake it for a couple days, keeping it in the fridge. (But this is of course not very space efficient.) You can bake the shell completely and keep it loosely wrapped, once cool, at room temperature for a day or two before using it. Hope you enjoy! YUM! I made a no-crust version with just the pudding filling and whipped topping, using coconut milk as a dairy substitute (for my gluten-free dairy-free in-laws). I followed the directions for the filling exactly, just using canned coconut milk in place of milk (I used Chaokoh brand – has no guar gum). For the topping I put a can of coconut milk in the back of the fridge overnight; in the morning I tipped it upside down, opened the bottom, poured out the liquid, and used just the solids to whip up a topping with sugar and vanilla. Turned out soooo good. Thanks for all the great recipes Deb! And Happy Thanksgiving! Served this for Thanksgiving this year and it turned out absolutely perfectly. It’s definitely a new family tradition. We may try it with a graham cracker crust next time. Thanks for the great recipe! Deb- made this for Thanksgiving and it was a HUGE hit! Used 60% cacao chocolate bar, an oreo crust, and served with a side of coffee ice cream. DE-LISH! Deb – I made this for Christmas and it was incredible. Absolutely beautiful. I had never made a cream/pudding pie before and it turned out perfectly. Thanks for the recipe! Should I use this pudding recipe or the one under Best Chocolate pudding ever? Is this one better to use over the other? Just wanted to know difference why you have this one for pie vs one in other post. samantha — Different sources (I realized after I made this from Gourmet that it was a pretty good match for my other pudding recipe). They’re actually quite similar, although I make the Best Chocolate Pudding more often, so it has more updated notes. this is chilling in my fridge at present and looks/smells delicious. 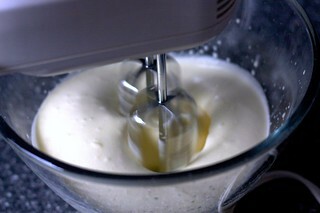 Just a tip, I remembered after a few annoying minutes of whisking that my immersion blender came with a whisk attachment. It worked like magic and made the whole thing a lot easier. I bet any attachment would work fine actually. They all keep things moving and incorporate air. I am 34 weeks and 3 days and stumbled across your web site. Congrats on the new addition! I haven’t had many true cravings, but I’ve indulging in chocolate pudding – this is so much better than store bought! Lighter and less sweet. I used a store bough graham cracker crust (meh) but I think next time I will just make the filling and whipped cream! Super easy and delicious. Deb, who is THE BEST! how to substitute milk chocolate for darker chocolate. he requested milk chocolate. Any suggestions? Karen P. — I don’t see why you couldn’t use milk chocolate here. You can drop the sugar by a tablespoon or two to compensate. how to finagle the extra milk & sugar. What an awesome recipe! I just made it for my son’s birthday and everyone loved it! Instead of using a pastry crust I used a cookie crust. It is definitely a keeper! Deb- happy hannukah! seasons greetings also. how’s the babe? gotta tell you, we made this in San Francisco tonight and it was fantastic! we actually decided to arrange the whipped cream in a pyramid-like fashion and it looked like a cloud and cut like a dream. We love you out here in San Francisco! I picked this over “best chocolate pudding” because of the cocoa powder … my fuzzy child memory is that there should be some cocoa powder. The warm pudding certainly lived up to hype … cant wait to eat more later, cold from the fridge!! Hi Deb–I was a little surprised that you have no eggs, or at least yolks, in the pudding…Have you tried that? It certainly seems to be a winner though as is. I confess I didn’t read through all 292 comments to see if anyone else asked. Can you comment please? And why can’t my photos look as divine as yours??? Hi there! I tried this this weekend for my moms birthday since chocolate cream is her favorite. The pudding and cream were delicious but the crust was a failure :( I thought I followed the directions exactly (cold butter, cold water, minimal hot hand contact, etc…) when I baked it with the foil and used dry beans as pie weights the foil stuck to the crust so it peeled away layers and when it was done it was way too crunchy and when I served it the crust stuck to the pie plate and made a mess. Any idea where I went wrong? Yikes! I actually like to butter my foil, which I mention in a footnote (about how I avoid pie weights) but should have also made this clear in the recipe directions. I’m surprised it stuck to the pan, though — so much butter! What kind of dish did you use? Re, crunchy — this is definitely something more likely to happen when one parbakes. The idea is that a crispier shell won’t get soggy when the wet ingredients arrive, but it’s also less tender and flaky. It might have seem extra crunchy, though, because of the sticking issue. Deb, if I’m making this for an under-ten set, would bittersweet chocolate still be a go? I want to err on the side of not-overly-sweet for those at the table not into the pumpkin or fruit pies this holiday but also palatable to nephews who have very definite ideas of what pudding should be. My husband made this for Thanksgiving dinner last night (admittedly with his own crust recipe) and it was absolutely perfect. Light and delicious after a big meal. Thank you for all your great recipes, you’re our ‘go to’ source for recipes and inspiration! I made this for a work party (with an Oreo crust) and it was gone in a flash. At one point my supervisor actually took the whole pie tin to finish it off on her own. SO GOOD. Made with non-dairy milk. Would cut the surgery next time as it was a bit too sweet (didn’t take it to account the sweetness of milk]. Also would cook for less time, once cooled it was a bit more firm than I would have liked. Otherwise super excited that I made an actual dairy free pudding that set! Thank you. Also made whipped coconut cream to top so it worked out well! Had a chocolate gluten free cookie crust on hand, so it was a super chocolate treat, gluten and dairy free. I just made this w/ a gluten free crust for a friend who is GF and chocolate pie is his favorite. Served it with some Andes Mint baking chips we happened to have, which was wonderful. Would also be good with some raspberries in the bottom! I used a little less sugar & 1/2 tsp of cold brew coffee, since the cheap trader joes chocolate doesn’t have the most complex flavor. Thanks for a great, super easy recipe. Made this today and it was delicious — and not too sweet, as others have noted. Instead of making the pie dough, I bought a large pre-made graham cracker crust. Also added about a teaspoon of amaretto liqueur to the whipped cream. The graham really brought out the chocolate and subtle almond flavors nicely. Yum! My mom used to make a pie like this (graham cracker crust though). She wasn’t a particularly good cook in general, but this? She did it well. It was my favorite dessert growing up. I will have to try this! Thanks! Wow!! Very easy and always delicious! I have made this countless times with an array of ingredients- heavy cream, half and half, light cream – make this recipe!!! So my pie crust went absolutely wrong for some reason and I had to toss it. Would it be okay to reheat the pudding the day after to put into my new pie crust or is that a no go? I made this and it was delicious. This was my first time blind baking a pie crust and I was alarmed by the pooled, simmering butter on my crust when I removed the foil (I did the freeze until solid and then bake with buttered foil and no weights). Perhaps this is normal, I didn’t do anything and it turned out great. Though I also had a hard time with the crust sticking to the bottom of my stoneware pie plate, which is mysterious. Very delicious though and fun to try the all butter crust. I made this today for the second time, with some big variations. The first time I did this I added 2 teaspoons of instant coffee decreased the chocolate to 3 ounces, and made a shortbread crust.Today, kept the pudding the same, but used a graham cracker crust. in addition, instead of whipped cream I covered the top with marshmallows and stuck it under the broiler. This pie is perfectly sweet. I used fresh cream and whole milk from our local dairy, and it was rich and delicious. An easy, seemingly fail-proof recipe. I’ve never left a review on anything before, but just wanted to say this chocolate pie is the best! I used a chocolate graham cracker crust was the only difference. Has anyone made this with a buttery graham cracker crust? Could I substitute coconut sugar for the white sugar? It often works fine in recipes like this, but I haven’t tried it here and cannot say for sure.